The ROG Phone is a promising device that caters to a very specific niche. Mobile gaming is seeing a resurgence in 2018, and manufacturers are starting to cater to that market with specialized devices. With $46.1 billion in annual revenue, mobile gaming has outstripped PC gaming ($29.6 billion) and consoles ($33.5 billion), and recent launches like PUBG and Fortnite are catalyzing the market. 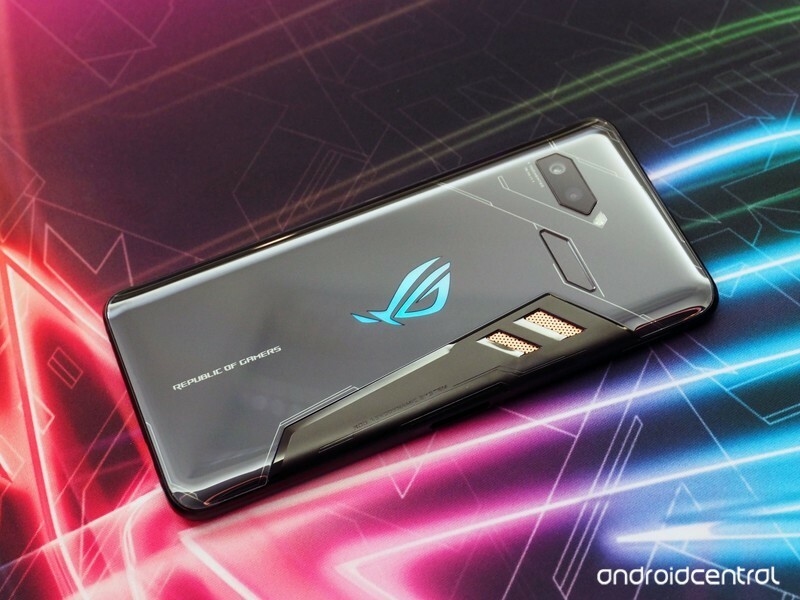 ASUS is making its foray into this segment with the ROG Phone, which has a bold design aesthetic that’s similar to the brand’s lineup of PC peripherals. 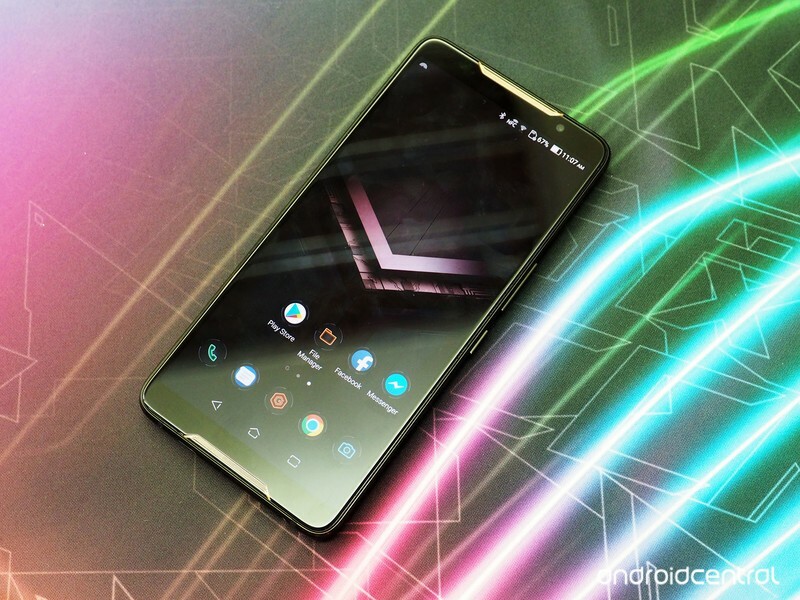 The device also features the latest hardware available today, and has a few tricks up its sleeve that makes it the ideal phone for gamers. 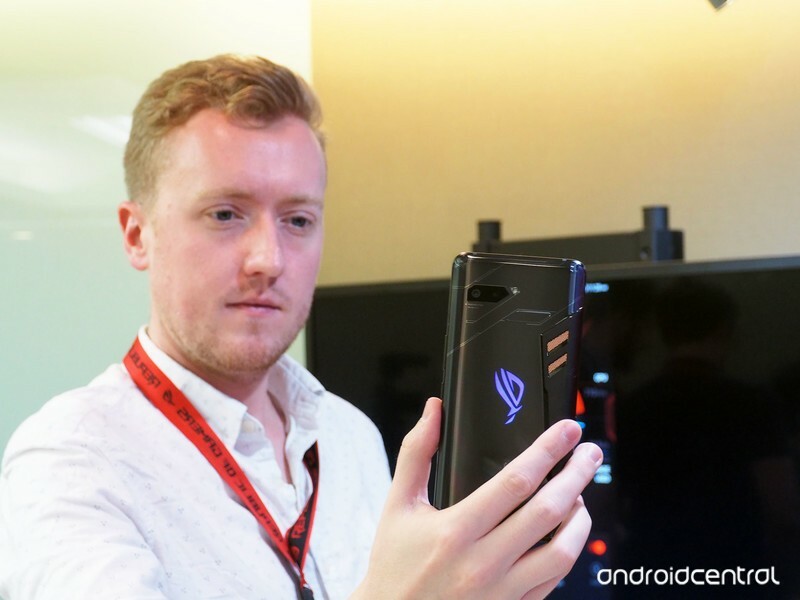 If there’s one word to describe the design of the ROG Phone, it would be aggressive. ROG is known for its bold designs in the gaming PC segment, and it is bringing a similar design aesthetic to its phone. There’s a lot going on at the back of the device, with the camera module and the fingerprint sensor sporting a jagged design. The back itself is made out of glass, and it picks up smudges easily. The angular motif continues across the back, and there’s a metal insert that conducts heat away from the device. Dubbed the ROG Aerodynamic System, it is designed to funnel air effectively to the phone’s innards via the cutouts next to the fingerprint sensor. 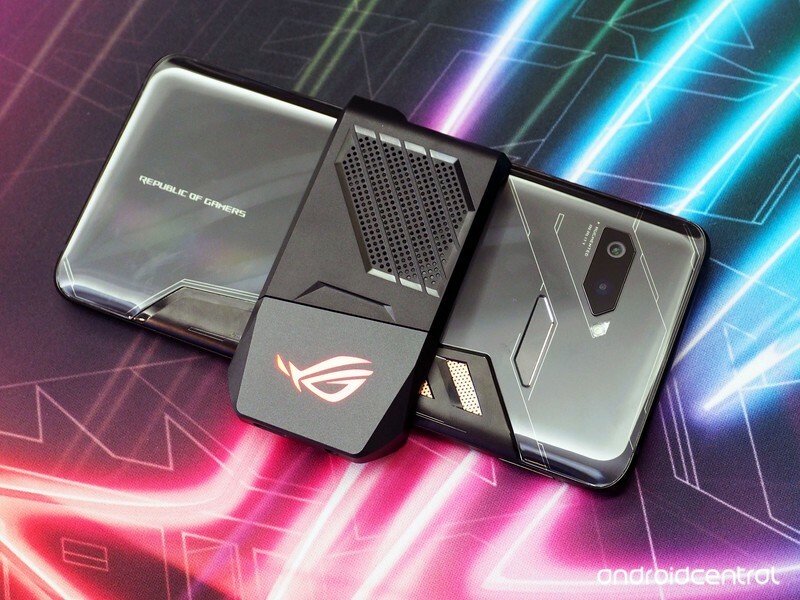 The look at the back is certainly a polarizing one, but if you’re one to pick up ASUS’ motherboards or the STRIX line of video cards, the design of the ROG Phone is right up your alley. And that’s the audience ASUS is targeting anyway. This isn’t a mainstream device like the Galaxy S9+ or the Pixel 2, but one that ties into the overarching gamer culture. In recent years, the PC hardware industry has focused on adding RGB lighting to a variety of products. Companies like ASUS and Corsair have been putting RGB lighting into keyboards, mice, cases, and even PSUs, and now the ROG Phone is the first smartphone to pick up RGB lighting. If you like RGB lights, you’ll love what the ROG Phone has to offer. The ROG logo at the back of the device lights up whenever in game mode, or you can manually engage it by squeezing both sides of the device. The squeeze feature is similar to what you’d find on a Pixel 2, but here you turn on RGB lighting instead of invoking the Assistant. The RGB lighting ties into the brand’s Aura Sync platform, and you can control the intensity of the lights, choose a lighting effect, select a particular color instead of cycling through all hues, and much more from the settings. Every ROG Phone comes with an AeroActive Cooler that effectively acts as an external fan. The cooler hooks up to the phone via a side-mounted port located on the right side, and there’s a tiny fan inside the cooler that kicks in as soon as it’s connected. The cooler has a 3.5mm jack and a USB-C connector, and you can hook up your audio gear or charge your phone directly via the ports when you’re in the middle of a game and not worry about cables coming in the way. 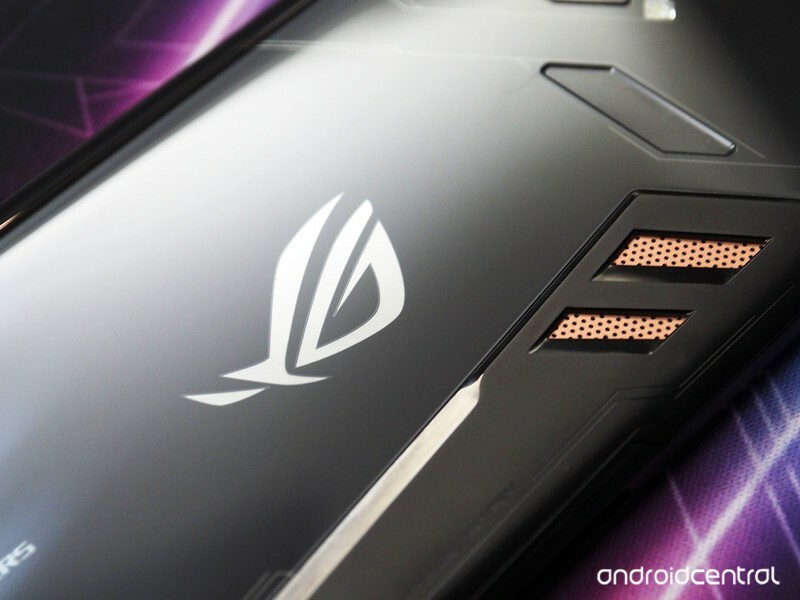 Oh, and because the AeroActive Cooler covers the ROG logo on the phone, it has a logo of its own at the bottom. And yes, that has RGB lighting as well. The phone itself has a USB-C charging port and a 3.5mm jack at the bottom, and stereo speakers up front. There wasn’t adequate time to take a look at the camera, but ASUS is using the same modules and dual 12MP + 8MP configuration as the ZenFone 5Z. The AeroActive cooler is meant to act as an auxiliary cooling solution to boost sustained performance. The bulk of the cooling is done by a new 3D vapor-chamber cooling system that has a carbon cooling pad and a heat spreader that effectively dissipates heat away from the PCB. With the new cooling tech and the add-on AeroActive cooler, ASUS is touting a 5x increase in sustained performance for the device. ASUS had to introduce a new cooling system because the ROG Phone is powered by a higher-binned Snapdragon 845. Unlike the Galaxy S9+ or the OnePlus 6, which are clocked at 2.80GHz, the performance cores on the ROG Phone go up to 2.96GHz. ASUS says the ROG Phone is the first phone in the world to feature the higher-binned Snapdragon 845, and for now it rules the roost when it comes to benchmarks. The Snapdragon 845 in and of itself has noticeable performance improvements over its predecessor, and the 2.96GHz clocked version definitely kicks things up a notch in this area. The phone also has 8GB of RAM as standard, and 512GB of internal storage. You’re not going to run out of space — or feel the phone slowing down — anytime soon. Coming to the display, the ROG Phone has a 6.0-inch FHD+ (2160×1080) AMOLED panel, and like the Razer Phone, it offers a high refresh rate. The 90Hz refresh isn’t quite as high as the 120Hz on the Razer Phone, but ASUS is touting a lower response time of 1ms, calling it the world’s fastest AMOLED display. And the fact that it is an AMOLED panel should mean much better colors and better visibility in outdoor conditions, an area where the Razer Phone has struggled in the past. The display on the ROG Phone is also certified for HDR and has the DCI-P3 color gamut. In the little time I used the phone, the screen felt vibrant and responsive, and it was a delight to play games thanks to the high refresh rate. There’s a gaming-focused feature dubbed AirTriggers, which leverages the ultrasonic sensors present on either edge of the right side of the phone and allows them to be configured for in-game actions. Essentially, the ROG Phone has pressure-sensitive edges, and you’ll be able to map them to control in-game buttons or actions, much like you would on a handheld console. The ROG Phone also has an “advanced” vibration motor for the haptic engine. 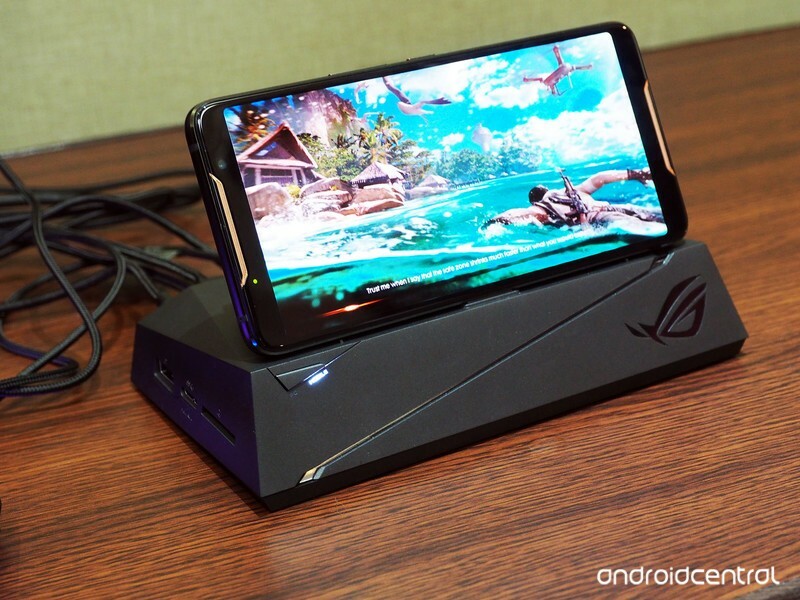 The ROG Phone comes with a 4000mAh battery that ASUS says is good for seven hours of continuous gaming and 11.5 hours of video playback over Wi-Fi. When you do need to top up, you’ll be able to use the HyperCharge tech to charge up to 60% of the battery capacity in just 33 minutes. The HyperCharge tech is very similar to what we’ve seen with Dash Charge: the charging circuitry is offloaded to the wall charger, so the device doesn’t get hot when it’s charging. Moving the ICs to the charger also allows ASUS to charge at a higher amperage, which enables the battery to top up quickly. In addition to HyperCharge, the ROG Phone is compatible with Quick Charge 4.0, Quick Charge 3.0, and USB-C PD. On the software front, the ROG Phone is running ZenUI atop Android 8.1 Oreo. Because this is a device aimed at gamers, ASUS customized ZenUI with a black color scheme interlaced with red accents. The icons also have a red border, and as much as I like the external design, the UI feels tacky. Hopefully there should be a way to dial back the customization and default to a standard ZenUI theme, because the red accents in the notification pane are overdone. A gaming phone isn’t complete without accessories, and ASUS has a lot to offer on that front. 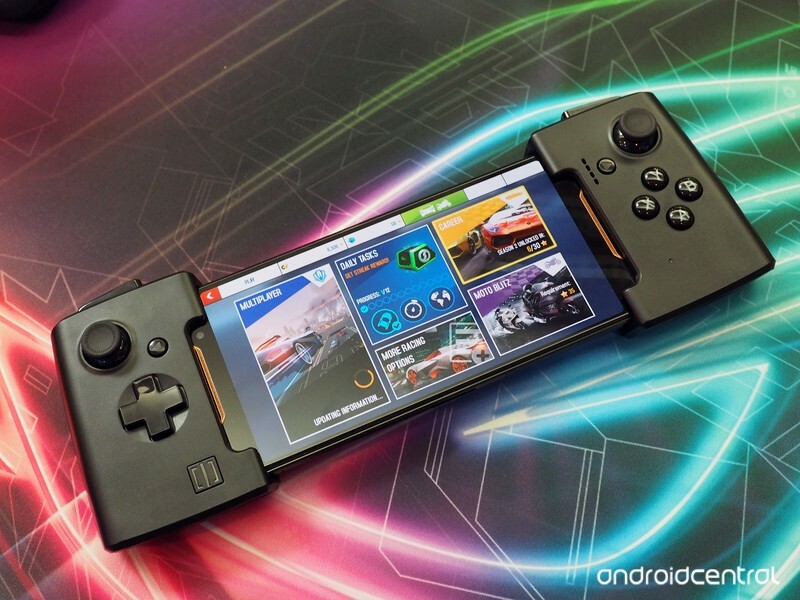 There’s a Mobile Desktop Dock that lets you hook up the phone to a TV or monitor, a GameVice controller that turns the device into a wireless controller, and a TwinView Dock that turns the phone into a handheld console with two screens. 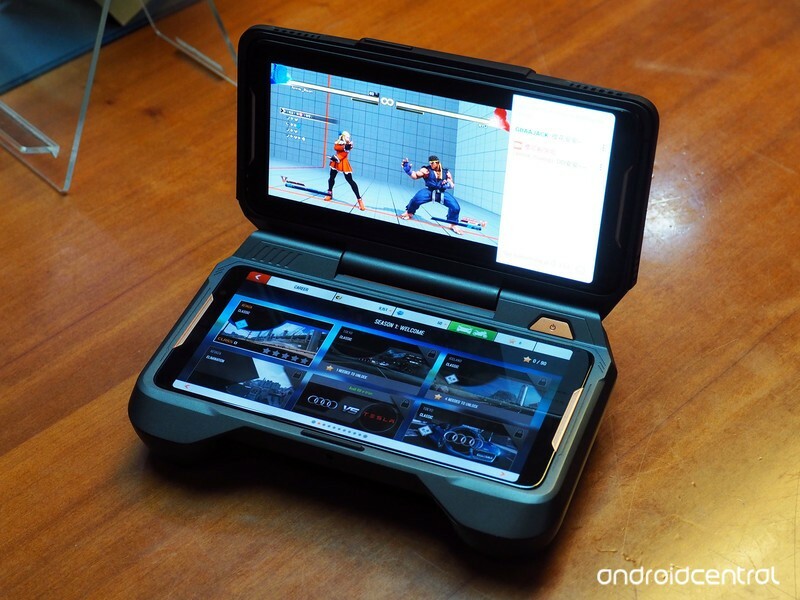 The Mobile Desktop Dock is an interesting add-on as it effectively emulates desktop gaming. You can slot your phone into the dock, connect a keyboard and mouse, and hook it up to a TV or monitor and play the game the same way you would on a console or a gaming rig. The GameVice controller has a similar feature-set, with the accessory adding action buttons, an analog stick, direction pad, and trigger buttons to the device. You essentially slot the phone in the controller, and it streams the game to a TV over WiGig, facilitating wireless playback. The TwinView Dock is the one I’m excited about, as it adds a second screen. The phone slots in at the bottom, and the dock has a screen up top that can be used as a secondary display. A possible use case would be running a messaging service on the secondary screen when you’re gaming with your friends, and ASUS has mentioned that it is talking to game publishers to enable second screen functionality to mobile games. 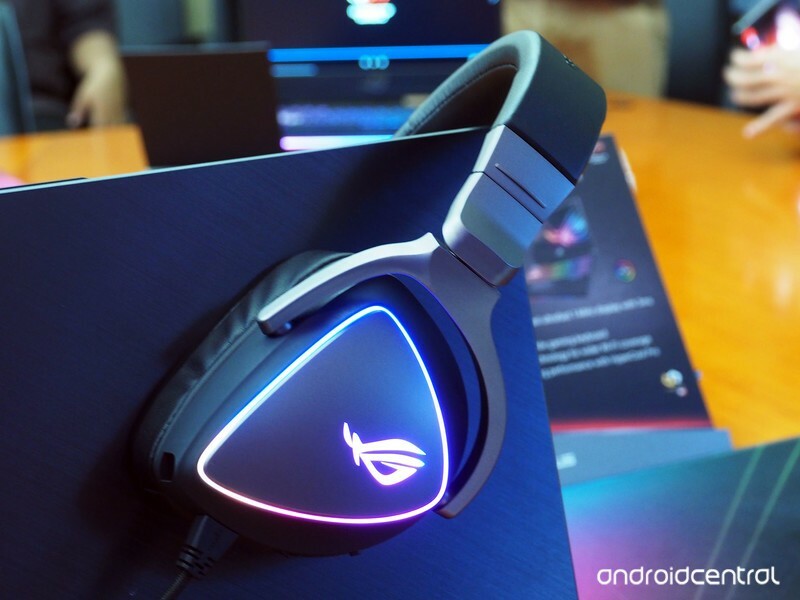 In addition to the docks, ASUS is rolling out a ROG Delta headset that connects over USB-C. The gaming headset features ESS Technologies’ 9218 Quad DAC, an insane 127-decibel signal-to-noise ratio, and like most other ROG products, it has RGB lighting. The Delta has 16LEDs embedded in its design, and you’ll be able to control the lighting effects with Aura Sync. If you think the design is ostentatious, there’s a toggle at the back to disable the RGB lighting. Overall, there’s a lot to like about the ROG Phone. The design is sure to turn heads, and it’s safe to say that this is one of the fastest phones around. ASUS has added a ton of features designed to maximize the performance, and the accessories add another dimension to the gaming experience. The only unknown at this point is when and where you’ll be able to buy the ROG Phone, and for how much. 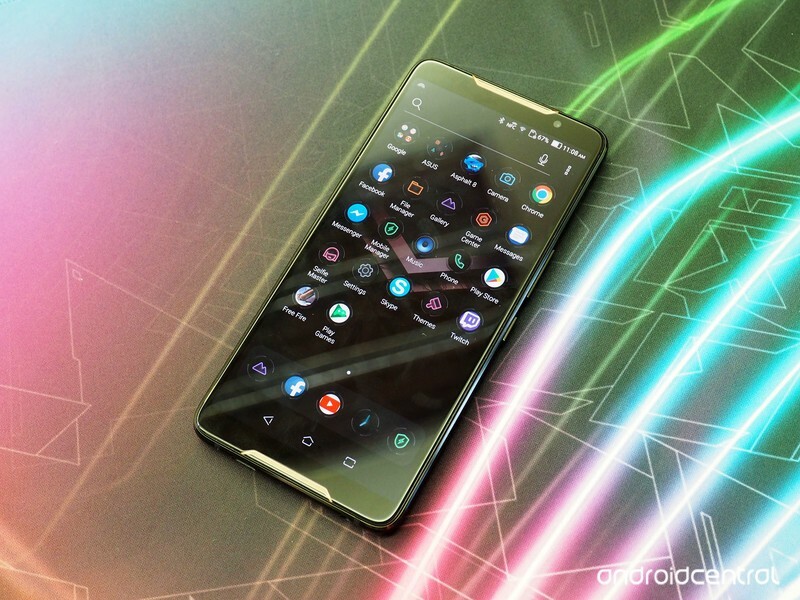 With the phone slated for a launch sometime in Q3 2018, we’ll know more closer to launch. In the meantime, what do you think of ASUS’ gaming phone?